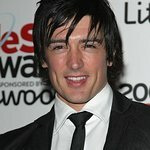 Supernatural and EastEnders star Adam Croasdell is offering one lucky person a very special Valentine’s Day treat, a personal video message from Hollywood. He’s involved with SeeTheDifference.org, a brand new not-for-profit way to make a difference in the world via the causes you care about. To enter, all you have to do is post a message about the place you had your first date, and the winner will be chosen at random and their special message delivered on Valentine’s Day. Adam isn’t the only star supporting the initiative. He’s joined by Oscar Nominee Matt Dillon, Premiership footballers West Ham’s Victor Obinna and West Bromwich Albion’s Peter Odemwingie, EastEnders actor Scott Maslen and his wife singer/producer Estelle Rubio, and Grammy-nominated music producer Sacha Skarbek, Daniel Craig, Stephen Fry, Leona Lewis, Dizzee Rascal, Amanda Holden, Tinchy Stryder and Miranda Hart. So what exactly is SeeTheDifference.org? It’s a site that connects you direct to real life charity projects you can help. Anything you give goes directly to the project. Once your project is complete you’ll get a ‘herogram’ showing you the difference you made. Choose how you want to make a difference, give time, give money, give clicks , give creativity. The more you share and get involved the better it gets – create a profile and win the chance to visit your project, meet celebrities and other great treats. Every project is from a registered UK charity. Anything you give goes direct to your project and gets bigger if you’re a tax payer (the government adds 28% extra to your donation if you tick the gift aid box). To find out more, visit SeeTheDifference.org.